The holiday bells are tolling, and this is the perfect time to rediscover yourself and take a vacation. but the major question is”Where to go?” Most of us are tired and bored of the known tourist trails. So if you are a person who avoids the crowd, and loves to explore the raw natural beauty and unusual cultures. We bring to you a list of 10 offbeat destinations in India which assure to offer an awesome experience. So pack your bags and escape the hustle-bustle of city to explore the unexplored. Kasol a hamlet situated in Himachal Pradesh, India. The village is located on the Parvati river valley which lies on the Parvati River. Kasol is the ultimate destination if you are looking for natural scenic beauty. Kasol is most famous for the Parvati River, trekking base – camp, Malana and its Israeli inhabitants. People usually visit Kasol to have a nice relaxing time. Others come here for the famous Malana trek. One must visit the cafes and the local markets of Kasol. A perfect blend of the snow-capped Himalayas and the lush green landscape will give you an experience you would not forget in your entire life. Listed below are the top five places to visit in Kasol. How to reach here: Kasol is well connected to the rest of India only by well-connected roadways. Regular bus services ply to and fro the city of Kasol; buses being operated both by private and government owners. There is no direct flight or rail connectivity to Kasol. 31 km away is the Bhuntar airport near Kullu, which is the nearest airport that connects Kasol to the rest of India. The nearest railway station to Kasol is in Joginder Nagar, which is 145 km away from Kasol, in terms of narrow gauge. Broad gauge wise, Pathankot is the nearest railway station available. Mawlynnong in Meghalaya, is one of the must-visit offbeat places in India. Blessed with the charm of North East India, Mawlynnong has been awarded as the cleanest village in Asia in 2003. The eco-friendly village community will give you some amazing lessons on life. The scenic bliss of the town is refreshing for your senses. There are waterfalls to visit, caves to explore and most importantly walk on the Living Roots Bridge. 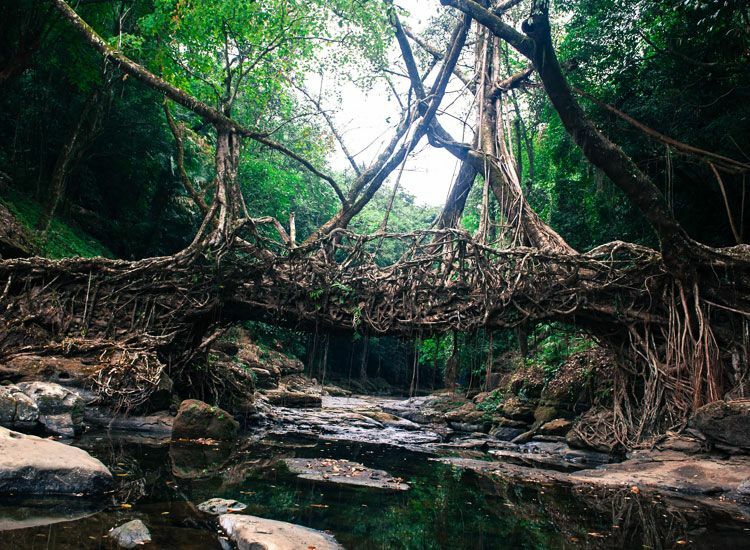 Created out of the roots of the trees, the bridges are truly a wonder. Don’t’ stop at just this town, backpack throughout Meghalaya. One of the most beautiful places in Arunachal Pradesh, Ziro is blessed with beauty, bliss and incredible experiences. Away from the touristy trails, Ziro is one of the beautiful offbeat destinations in India. Puffy white clouds float in the horizon. Beautiful green patches and rice fields are visible as far as the eye can see. The Apatani tribe welcomes you with their friendly smiles and you would love to know their way of life. The Ziro music festival is a great time to visit. Don’t just visit Ziro stay there as a local. How to reach here: Tezpur airport is the closest airport and it is 280 km from Ziro. There are no direct flights from Delhi or Kolkata to Tezpur and take a lot of time to reach. Most of the flights are via Guwahati. You can book a flight till Guwahati as it is connected to all the major cities. From Guwahati, you can hire a taxi till Ziro and continue with the same taxi to explore the city. There are many government and private taxis from Guwahati to Arunachal Pradesh. These taxis have a fixed rate and charge you according to the vehicle hired and the number of kilometres. 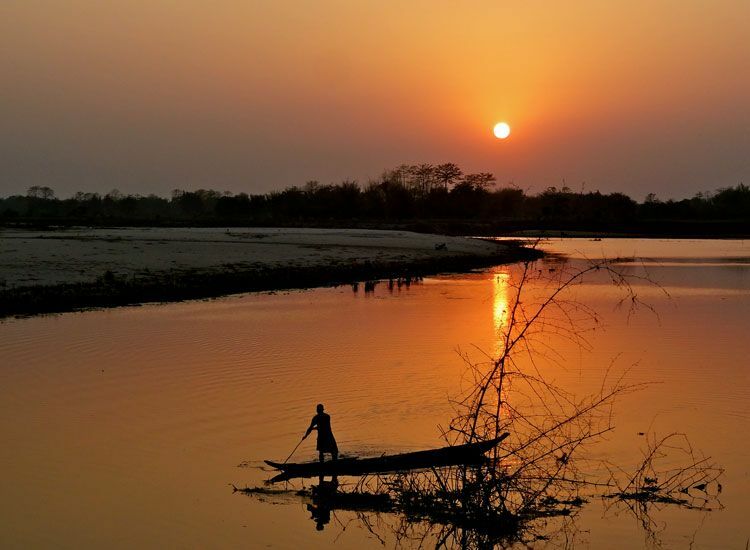 The largest river island in the world, Majuli is one of those places you must visit once in a lifetime. Located on the banks of Brahmaputra River, the island spread over 421.65 square kilometers is one of the must visit place in Assam. The island of Majuli is only accessible via ferries which can be taken from Jorhat. One of the potential contenders of UNESCO World Heritage Sites, Majuli has a unique culture. Mostly tribals inhabit the lands. Festivals, food and the serene charm are the highlights of the town. How to reach here: To reach Majuli, you will first have to reach Jorhat. From Jorhat, which is just 20 km from Majuli, you will have to travel on a ferry. The ride itself is a fun experience. Jorhat has its own airport with daily flights from Kolkata and Shillong. Jorhat also has a railway station which is connected to the capital town of Guwahati which is well linked to the major cities of India. 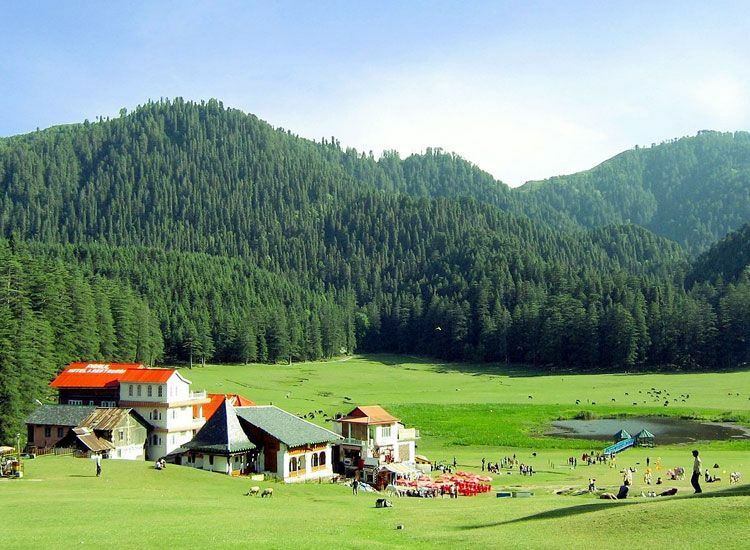 Away from the touristy towns of Himachal, Khajjiar is an unexplored beauty. The offbeat town in Himachal Pradesh is known as “Mini Switzerland of India”. 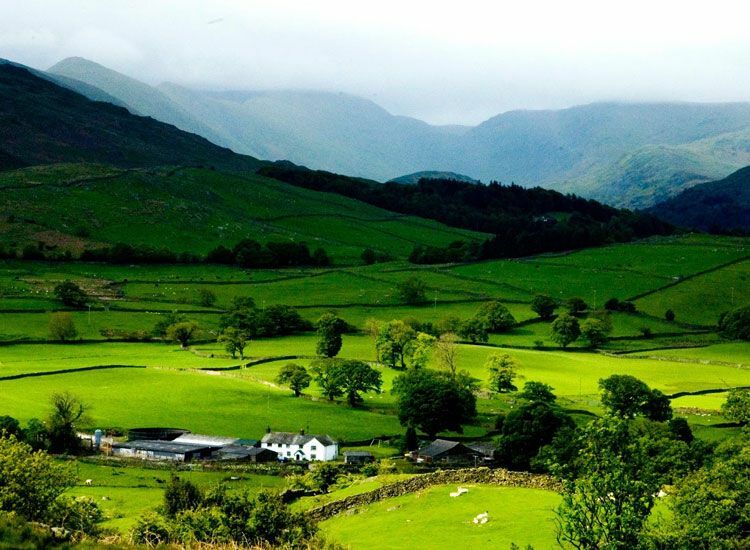 Beautiful, yet blessed with serene charm the town is replete with hills, lakes and meadows. Trek in the scenic environs or go for long walks, it’s absolutely blissful. Visitors can also partake in various adventure sports like paragliding, horse-riding, zorbing and the like. Khajjiar can be easily visited throughout the year, the summers are pleasant while the winters come with snow. When the cities become too much for you, escape to Khajjiar. How to reach here: The town of Khajjiar is a part of Chamba district and is well connected to Chamba and Dalhousie (24 km) and can be easily reached via taxis. The nearest railway station is in Pathankot and then a taxi can get you to Khajjiar. Alternatively, you can reach to Chamba or Dalhousie by bus and then take a cab from there. Tribal, rustic and an experience of a lifetime, Mokokchung in Nagaland is one of the top offbeat destinations in India for an awesome experience. Home of the Ao tribe, the town is cultural and intellectual capital of Nagaland. It is known for rich hospitality, rich traditions and festivals. The attractions to check out in this offbeat town comprise of Changkikong Range, Langpangkong, Fusen Kei and Mongzu Ki Caves, Changtongya, Longkhum Village, Longritzu Lenden Valley, Tangkum Marok Spring, Mokokchung District Museum, Mokokchung Park, etc. Just arrive with your bags and these friendly folks will make sure that you have a great time. How to reach here: The nearest airports to Mokokchung are in Dimapur (located at a distance of 212 kilometres) and Jorhat (located at a distance of 105 kilometres). There are daily flights to these airports from Guwahati or Kolkata. The nearest railway station to Mokokchung is Mariani (Assam), 85 km from Mokochung. 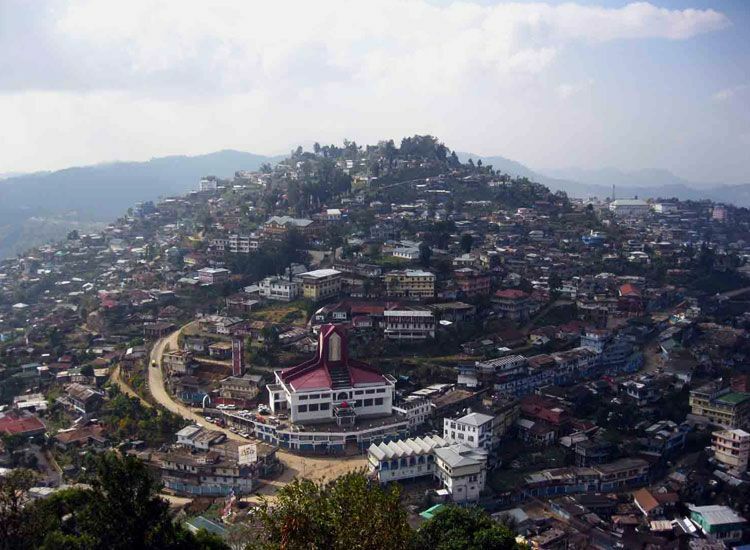 Mokokchung is well connected by road through the National Highway 61. Chopta is a scenic hill station in Uttarakhand. As compared to the tourist crowded towns, Chopta is relatively unknown. Watch the snow-covered peaks in the backdrop. The green slopes and grassy meadows have a relaxed vibe. It is a perfect spot to take a break from the city life. Enjoy the lesser pleasures of life in the picturesque town. If you are keen on adventure then Chopta serves as a base to trek to Tungnath temple and the Kedarnath wildlife sanctuary. You can also trek to Chandrashila peak. Enjoy natural bliss on your offbeat holiday in Uttarakhand. March to June is the best time to visit Chopta. Watch the little hill animals come out of hibernation and plants blossom again in the spring. Off-season travelling in Chopta is discouraged because of a rugged terrain and unfriendly weather. How to reach here: Chopta is a secluded hill station, located on the Rudraprayag – Ukhimath – Gopeshwar Highway. 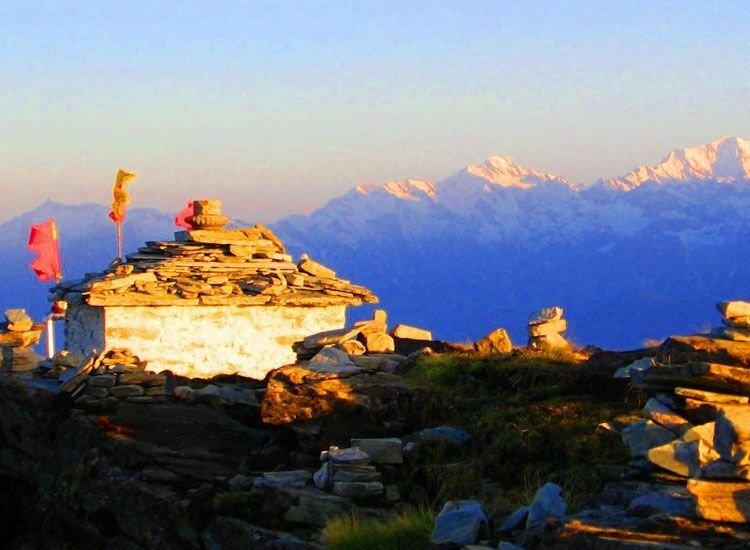 Chopta is situated 40 kms from Ukhimath and 63 kms from Rudraprayag. Chopta can be easily reached via Delhi and Haridwar. The roads are well connected with Delhi and Haridwar. Chopta is about 225 kms away from Chopta and will take about 8 -10 hours to reach here. There are number of bus and taxi services to Chopta from Haridwar. Kalimpong is one of beautiful hill stations of North East India. The town in West Bengal is off the charted tourist routes. A little way from Darjeeling, you can enjoy an idyllic offbeat vacation here. Enjoy the picturesque bliss of mountains. The exclusive views of the striking snow laden Himalayas are awe-inspiring. If you seek to escape the demanding city life, the town has a rejuvenating aura. Go for walks through towering pine trees and rolling hills with the chirping birds for company. The pure mountain air helps you discover inner peace. How to reach: The nearby airport of Kalimpong is Bagdogra in the vicinity of Siliguri. It is placed at a distance of 79 km from the town. This airport is networked with Kolkata, Delhi and Guwahati. So you would easily know how to reach Kalimpong. International travelers can use the connecting flights from metro cities like Kolkata or Delhi. 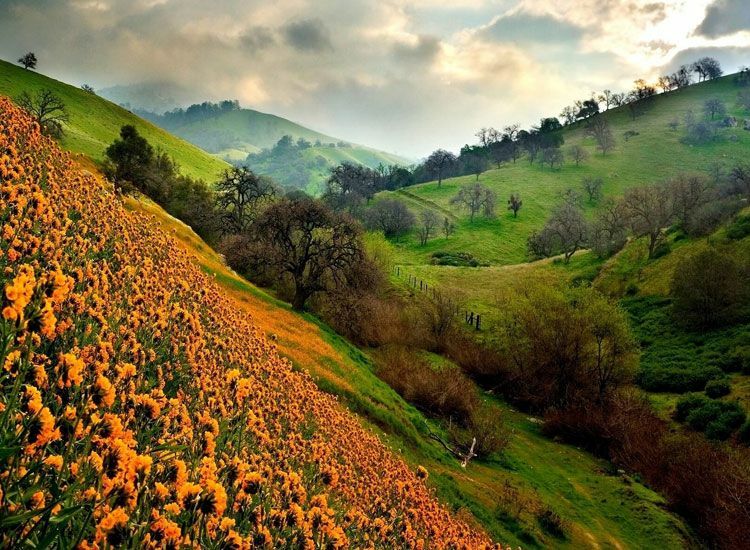 The Valley of Flowers in Uttarakhand is one of the most beautiful offbeat places one can visit in the country. The entire valley is titled an UNESCO World Heritage Site. It is blessed with indigenous mountain flowers, insects, butterflies and avifauna. In the rainy season, the valley looks like a carpet of flowers as almost 300 species of flowers in every possible shade bloom in the valley. You can reach the valley only after trekking. Once you have seen the breathtaking beauty you will not find it hard to imagine heaven. How to reach here: Valley of Flowers is not connected by any motorable road. The nearest place which is connected to rest of the world is Govindghat (near Joshimath) which is approximately 17 km from Valley of Flowers. This distance can be covered by trekking. On nearing Gangaria (which is roughly 3 km from the valley), the perfume of the flowers start coming and visitors are mesmerised by the experience. The visitors need to take a permit from Gangaria to enter Valley of Flowers. The permit is for 3 days and you can trek only during daytime. Reaching Joshimath is not a tough task as it is connected from rest of the places in Uttarakhand and New Delhi. A perfect destination to spend your summer holidays in India, Munnar is famous for its salubrious climate, lush hills, and vast expanse of tea plantations. The idyllic hill station Munnar – famous for its tea estates, exotic lush greenery and craggy peaks, is located in the Western Ghats. With a myriad of things to do in Munnar, the hill station from God’s Own Country – Kerala – is sure to make your vacations an ultimate peaceful and rejuvenating affair. How to reach here: Munnar does not have its own airport. If you wish to fly to Munnar, the nearest airport is Cochin International airport, which is located at a distance of 110 km from Munnar. From here on, you can hire a cab or board the Kerala road transport buses directly to Munnar.